(FREDERICKSBURG, VA) National Children’s Alliance recognizes the Safe Harbor Child Advocacy Center for its delivery of high quality and effective services to child abuse victims through accreditation Fredericksburg, VA, 02/08/2015 – The Safe Harbor Child Advocacy Center has been awarded accreditation by National Children’s Alliance following an extensive application and site review process. As the accrediting agency for Children’s Advocacy Centers (CAC) across the country, National Children’s Alliance awards various levels of accreditation and membership to centers responding to allegations of child abuse in ways that are effective and efficient, and put the needs of child victims of abuse first. Accreditation is the highest level of membership with National Children’s Alliance and denotes excellence in service provision. The Safe Harbor Child Advocacy Center opened May 1, 2009 and serves the City of Fredericksburg and the Counties of Caroline, King George, Spotsylvania and Stafford. Since opening, the center has served over 900 child victims of abuse. As an Accredited Member of National Children’s Alliance, Safe Harbor is dedicated to providing comprehensive, coordinated and compassionate services to victims of child abuse. 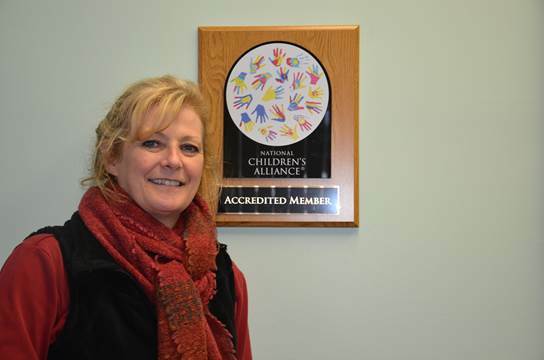 National Children’s Alliance awards Accredited Membership based on a CAC’s compliance with 10 national standards of accreditation to ensure effective, efficient and consistent delivery of services to child abuse victims. National Children’s Alliance updated these standards in 2010 to reflect the most recent evidence-based practices in the field of child abuse intervention and prevention. According to these standards, Accredited Members must utilize a functioning and effective Multidisciplinary Team approach to work collaboratively in child abuse investigation, prosecution, and treatment. National Children’s Alliance also considers standards regarding a center’s cultural competency and diversity, forensic interviews, victim support and advocacy, medical evaluation, therapeutic intervention, and child focused setting. “As an organization/team of individuals dedicated to responding to child abuse, we recognize the importance of accreditation from National Children’s Alliance and supporting the Multidisciplinary Team approach. Accreditation not only validates our organization’s proven effective approach to responding to allegations of child abuse, but also provides consistency across the child advocacy center movement as a whole,” said Pamela Garrett, Executive Director. “The Safe Harbor Child Advocacy Center is to be commended for its excellent work serving victims of child abuse. As the national association and accrediting body for Children’s Advocacy Centers across the country, our goal is to ensure that every victim of child abuse has access to high quality services that result from professional collaboration,” remarked Teresa Huizar, Executive Director of National Children’s Alliance. 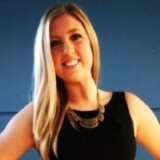 For more information about the Safe Harbor Child Advocacy Center, visit http://www.safeharborva.org. The Safe Harbor Child Advocacy Center exists to strengthen the coordinated community response to situations of child maltreatment, including sexual abuse, severe physical abuse, and severe neglect by integrating the existing resources of law enforcement, child protection, prosecution, medical and therapeutic agencies so that perpetrators are held accountable for their actions and children are not further traumatized by the investigative process. (FREDERICKSBURG, VA) MANARC, Downtown Fredericksburg thrift store will move their location from 1108 Caroline St. to 107 William St. on December 19th. “We have outgrown our space.” said Founder and CEO of MANARC, Deborah Franks. MANARC will continue to embrace the season of giving to offer active duty military and veterans a 20 percent off discount at their new location now till the end of December. MANARC, Borne the Battle has been established as premier a non-profit organization operating on donations with the express purpose of providing funding to local established Veterans organizations to improve the level of Veterans support. MANARC stands for Marines, Army, Navy, Air Force, Reserve and Coast Guard. MANARC thrift store opened it’s doors in September of this year with a mission to support Veterans. 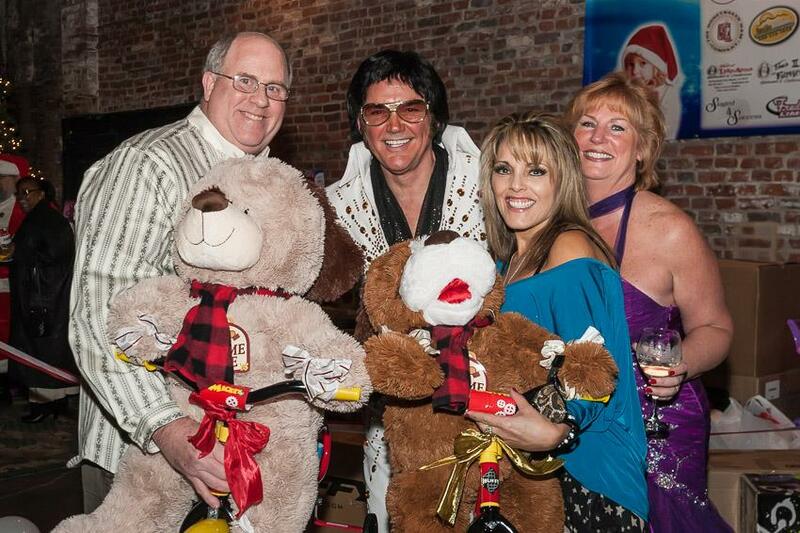 (FREDERICKSBURG, VA) The 9th annual Toys For Tots party will be at the Fredericksburg Fairgrounds events building on Saturday, Dec. 13th at 7 p.m. Jan and David Snow of Stafford have given their annual party a roundup ho down theme this year. 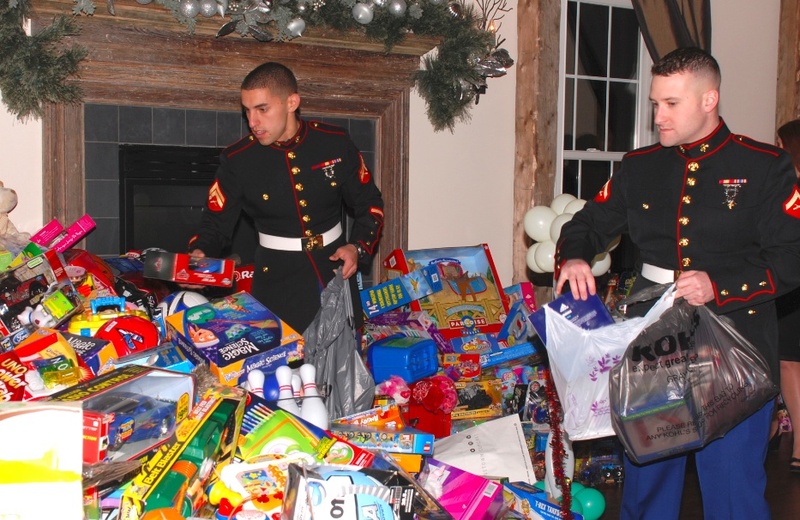 There is no cost to attend the party, the Snows request that each guest bring a new unwrapped toy for a boy or girl to donate to Toys For Toys. The Snows encourage guests to wear their favorite western duds to boot stomp to the live entertainment line-up for the evening. The entertainment will begin at 7 p.m. with D.J., Eric Herod, followed by a rotation performance from local solo musician, Shannon Peterson, the band, Cool Breeze and the one and only Elvis. The party will be catered by various local restaurants and a cash bar will be available to guests. The party is open to the community to attend, but space is limited. To receive an invitation and to be added to the guest list, email Jan Snow a request for an invite at jansnow2004@yahoo.com. The Snows are anticipating the largest roundup of toys since their first party in December 2006. Community members who cannot be present at the party still have the opportunity be a part of the cause. Several local Fredericksburg area businesses are participating by hosting Toys for Tots boxes at their location of business. Anyone is welcome to donate a new unwrapped toy to any of the drop off locations listed below and their donation will go to benefit the Snows Toys For Tots roundup.